No other grease trap disposal or grease trap cleaning service in West Virginia uses the unique Greasezilla™ System. 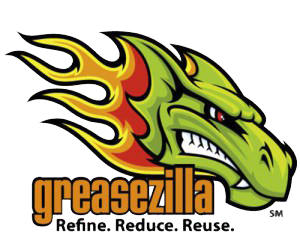 The Greasezilla™ processes grease trap materials into fuels and soil amenities. Crosier’s Sanitary Service is a pioneer in the industry of grease trap management. One phone call is all it takes to set a service schedule- and you’ll never have to think about your grease trap again. Our goal is that the next time you think about your grease trap, it will be because you were pleased that it was cleaned by a prompt, courteous professional. Better yet, you can rest assured, knowing that the waste from your trap is being recycled and turned into biofuel using the patented Greasezilla system. No other grease trap disposal or grease trap cleaning service in West Virginia uses the unique Greasezilla ™ System. The Greasezilla ™ processes the materials into fuels and soil amenities. It’s the greenest restaurant grease removal processing system available anywhere and contributes nothing to landfills! When you purchase our full grease trap disposal service, all grease and food are removed to keep the trap in good order. Instead of restaurant grease traps’ waste entering a sewer system and the environment, it gets recycled – that’s better for the sewer system and the environment! Avoid expensive cleaners that only do part if the job. We do it right the first time and better than anything else on the market. But why discharge grease just because you can? Most additives sold for your trap are not nearly as effective at digesting grease in the tank as they are in the lab. Some additives simply keep the grease in suspension long enough to “clear” the trap. They are all expensive. When you purchase our full cleaning service, all grease and food is removed to keep the trap in good order. Instead of the waste entering a sewer system and the environment, it gets recycled.